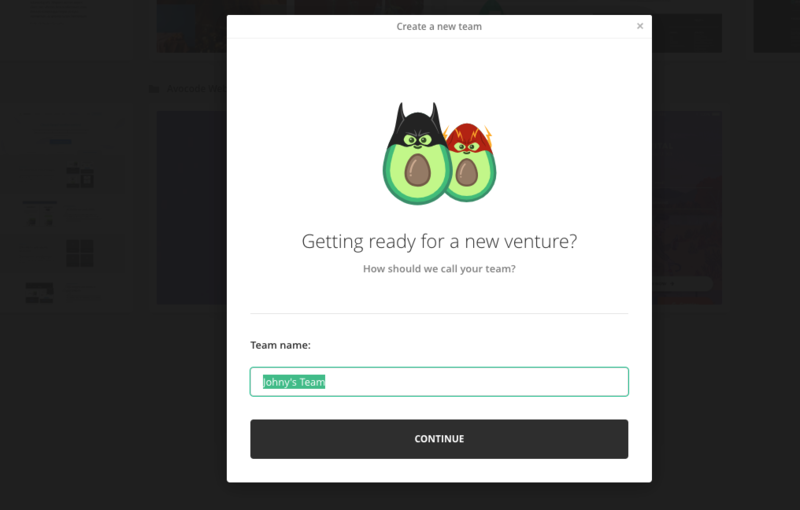 How to create a new Avocode team? 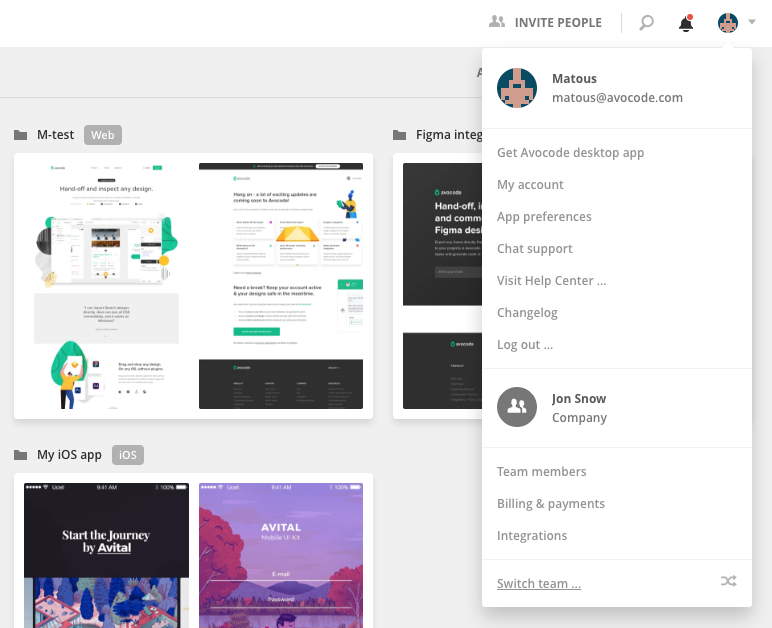 You can create multiple teams with the same e-mail. 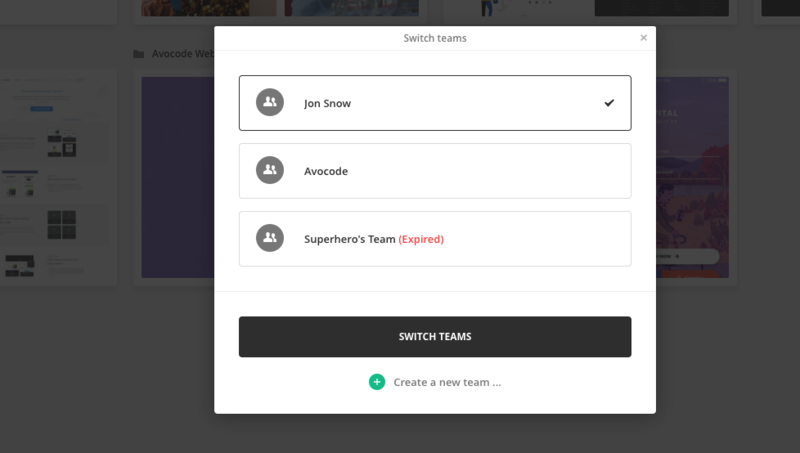 How to create a new team with the same e-mail and login? 1. Go to app.avocode.com and click on the your profile avatar in the top right corner and then click on Switch team. 2. You’ll see list of your teams and below a button Create a new team. 3. Choose a name of the new team. 4. 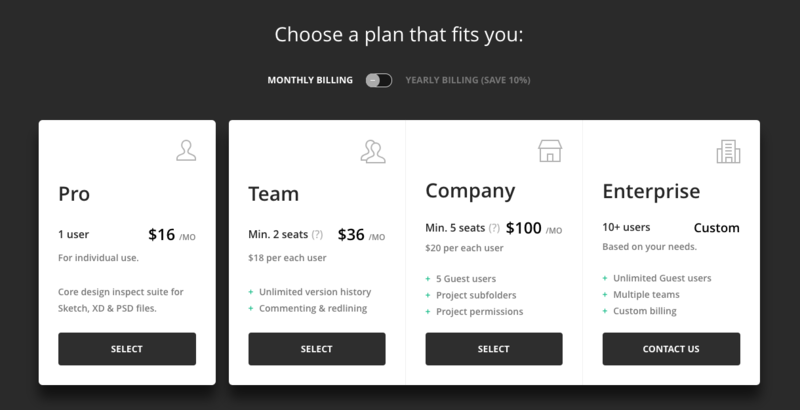 Choose and purchase a subscription plan for the new team and you're all set. What if I'm in the free trial period? Once you sign up for Avocode you'll get 7 days for free to try our product on a project and to see if it's the right fit. If you create another team with the same login information, during the trial, you'll only get what you have left in the first trial. 👉🏼Here's an example: You've been using Avocode for 3 days with your first team, and on the 3rd day you create another team. For both teams you have only 4 days left before you need to make the purchase for both teams in order to continue the service.